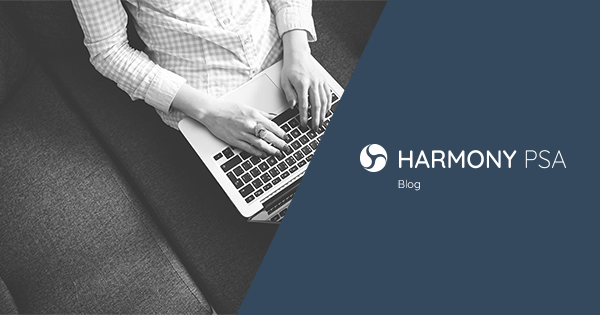 Whether the cloud is turning your business upside down, or your business just needs joining up to help you grow, Harmony PSA software has all the functionality you need to deal with the mountain you have to climb. An enterprise-wide platform with no handoffs, modules, rekeying or stale data where nothing can be lost or missed. Professional services automation (PSA) software providing the maximum degree of process automation so that user intervention is only required to add value - not to administer. Struggling with device based and "a la carte" billing models? Let Harmony's MSP software do the pricing hard work for you. Global growth providing a challenge for your software business? Keep on top of your sale processes. Harmony brings down the barriers. Projects and procurement teams pulling in opposite directions? Get them both talking the same language in one single system. The best alternative to ERP software. Customer billing and issue management taking over your business? Bring it all to a resolution in a few simple clicks. Complete professional services in one place. 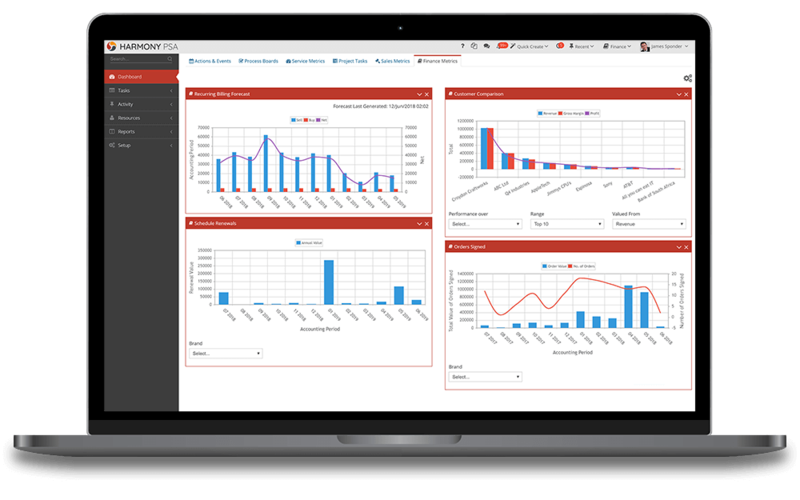 Harmony’s dashboards and real-time profitability trend graphs allow you to drill into any customer relationship in seconds with perfectly aligned data. 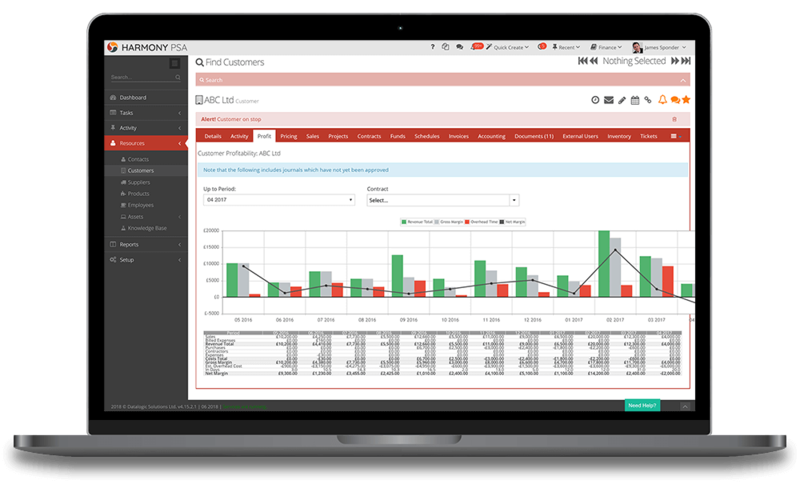 A second click allows you to drill into a project or contract view creating unparalleled and instant insights into your business. 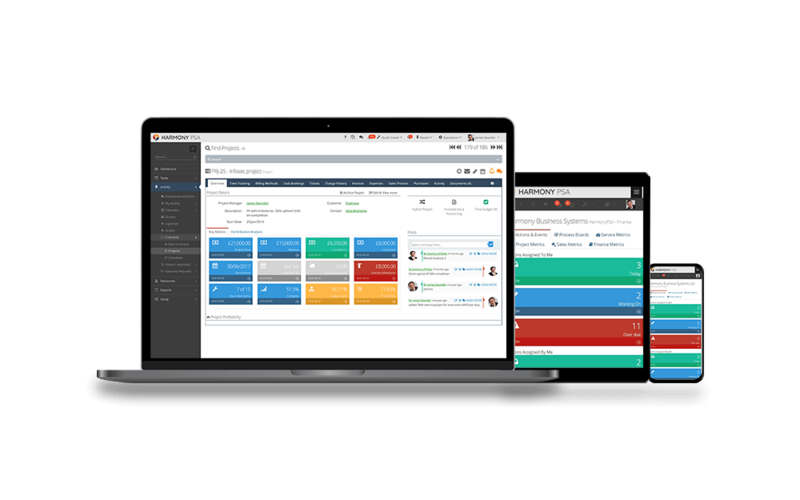 Harmony delivers fully configurable and personalised Kanban boards across the entire system, from Sales to Finance. 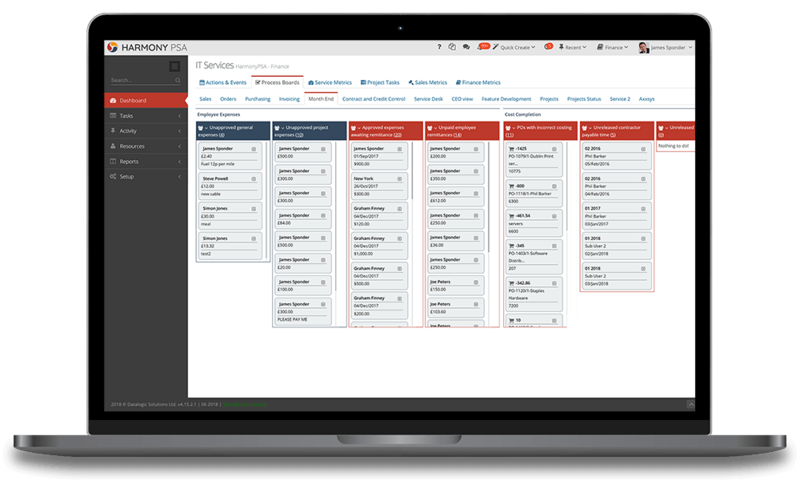 All core business processes can be visualised in seconds, published to teams or kept private. Board updates are process driven so always correct. Free yourself from the office without the restrictions of a cut-down mobile application. 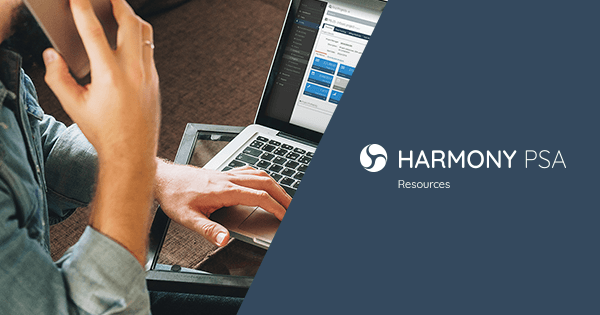 Harmony’s responsive user interface delivers the entire application via your tablet or phone. From updating a ticket or downloading a PDF from the document store to even raising a quote/order; mobile functionality is unrestricted. 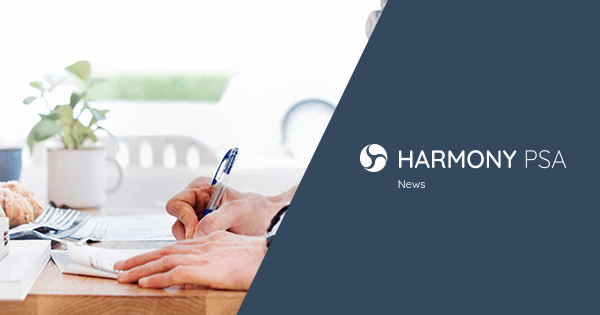 Harmony has the widest functional coverage of any PSA on the market, without add-on modules or edition upgrades. Harmony will run your entire business in a totally seamless manner, all for one simple user price. 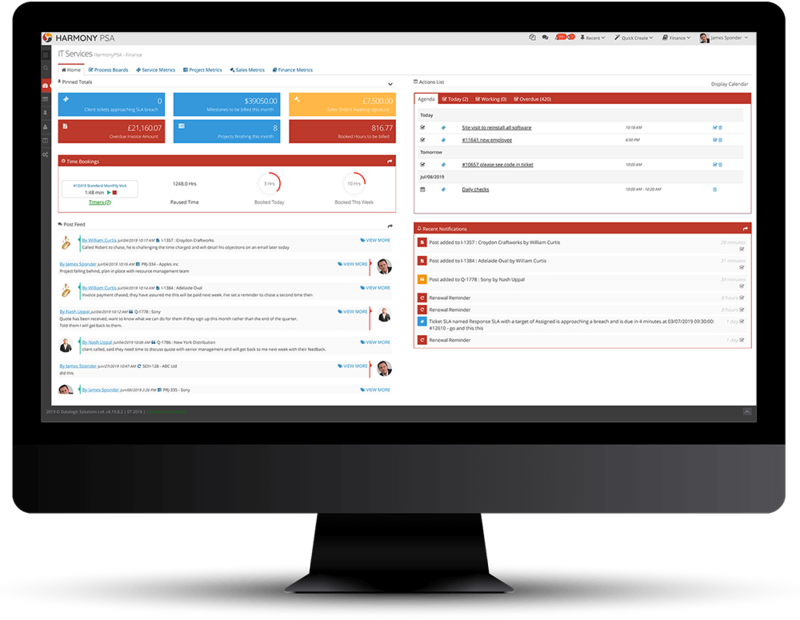 "Innovative, flexible, and customizable: HarmonyPSA is the best on the market"
"The ticketing system is awesome"